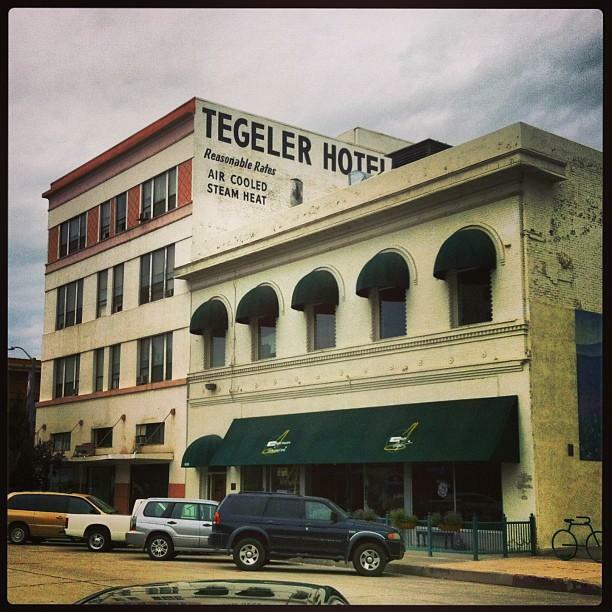 Tegler Hotel building in downtown Bakersfield is one of the sites old-timers recall as being part of a network of connected basements or "tunnels"
Deep beneath the oldest part of Bakersfield lies a hidden world, unknown to most, and forgotten by many. Yet some still have vivid memories of these underground passages or "tunnels" as some people describe them. These connected basements, and the activities that took place "underground" - gambling, brothels, blue movies, are not just the stuff of legend, they're still very real in the minds of many older Kern County residents. Richard Beene, the president and CEO of the Bakersfield Californian joined us on Valley Edition to talk about the responses he's received from readers of his Bakersfield Observed column about the city's "underground" history. Cities like Merced Fresno and Bakersfield all share one common thread, other than being major stops on Highway 99.